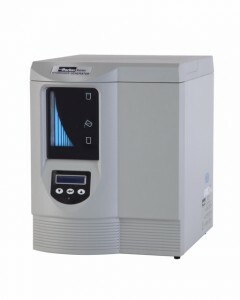 Gas Generation for Labs | High-Purity Nitrogen & Hydrogen Generators | TOC Gas & Zero Air Generators | NitroFlow Lab | Brenner-Fiedler & Associates, Inc. Try gas generation for the laboratory using Analytical Gas Systems (AGS). Eliminate the inconvenience of changing out gas cylinders. Free up valuable laboratory floor space. Hydrogen generators for fuel and carrier gases. The Parker Baltson NitroFlow Lab is a self-contained generator that produces up to 32 lpm of pure LC/MS grade nitrogen at pressures up to 8 bar. Nitrogen is produced by utilizing a combination of compressor and membrane separation technologies. Complete “Plug and Play” system recommended by all major LC/MS manufacturers. Produces a continuous supply of nitrogen for all LC/MS application. 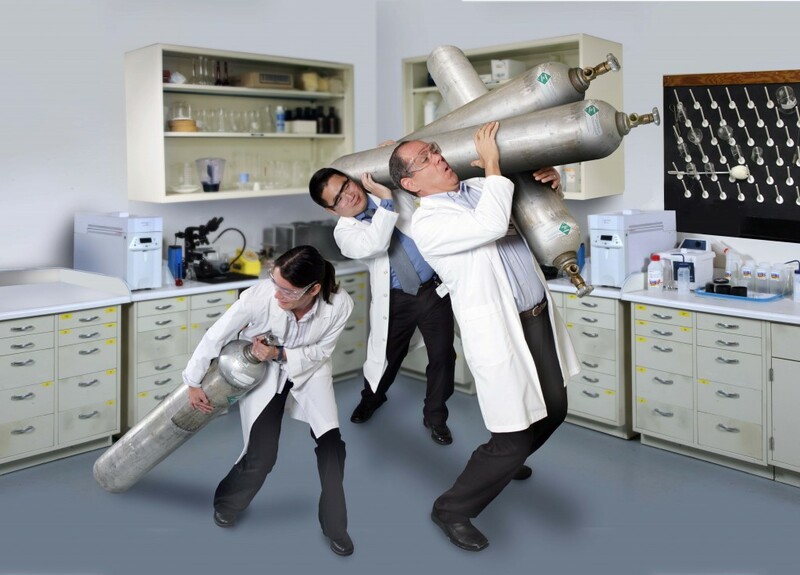 Eliminate dangerous nitrogen cylinders from the laboratory. Deionized water and an electrical supply is all that is required to generate hydrogen for weeks of continuous operation. Optional automatic water-feed is available for remote installations or where minimal operator attention is required. Designed to run 24 hours a day.Compact, reliable and minimal maintenance. One generator can supply 99.9995% pure fuel gas for up to 12 FID’s or several GC’s with carrier gas. The Parker Balston Ultra High Purity (UHP) Nitrogen Generators are engineered to transform standard compressed air into a safe supply of 99.999% pure nitrogen. Produces a continuous supply of high purity nitrogen 99.999% for ICP-OES. Ideal for Optical Purge, extends analysis into the far UV range below 170 nm. Integral oil free compressors, with noise reduction technology. The Parker Balston Total Organic Carbon (TOC) gas generators are a complete system with carefully matched components engineered for easy installation, operation, and long term reliability. They are designed to transform standard compressed air into a safe supply of hydrocarbon free ( <0.05ppm), dry (-73C), CO2 free (<1ppm) carrier gas. Designed to run continuously 24 hours a day. Purity meets or exceeds all TOC manufacturer’s gas purity requirements.Ensures consistent, reliable TOC analysis. Ensures consistent, reliable TOC analysis. 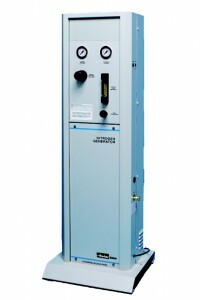 Eliminate dangerous high-pressure oxygen and nitrogen gas cylinders from the laboratory. 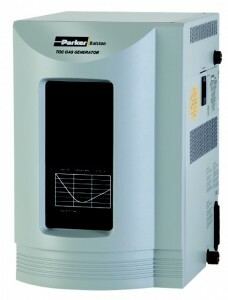 The Parker Balston Air Generator can produce up to 30,000 ml/min of high purity zero-grade air. 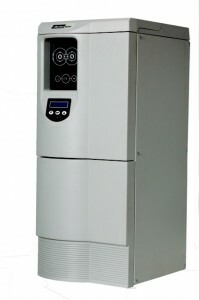 Compressed air is pre-filtered down to 0.01 micron and then purified using a state-of-art combined heated catalyst module. Payback period is typically less than one year. Silent operation and minimal operator attention required. Models available to service up to 75 FID’s . Increases the accuracy and repeatability of analysis. Produce UHP Zero Air from house compressed air (<0.05 ppm THC). 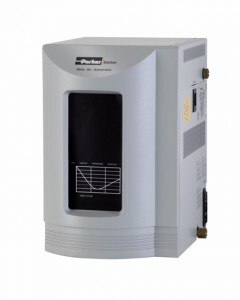 The Parker Balston ELSD (Evaporative Light Scattering Detector) nitrogen generator can produce up to 8 lpm of nitrogen at pressures up to 8 bar. The generator is engineered to transform standard compressed into a safe regulated supply of nitrogen with minimal operator attention. Produces a continuous supply of high purity nitrogen as a nebulising gas for ELSD. No noise, no moving parts, no electrical requirements.